There are generally three main stages of television production: pre-production, production and post-production. In each stage, different departments have different tasks. Organizing and coordinating each element of the show's production and keeping them all in sync on a timeline is not necessarily an easy task for a producer. 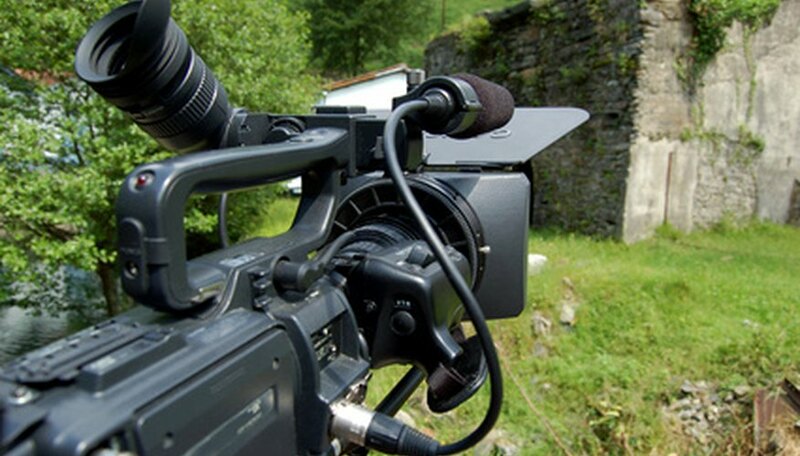 Pre-production is the first stage of television production. This is when scripts are written, story lines are crafted and a storyboard is developed. Producers will do research, location scouting, casting and budgeting. Actors will rehearse and the director will plan his approach. This is more or less a planning stage, making sure that all the elements are in place for production and post-production. A timeline will be established and producers will coordinate different elements of both production and post-production to ensure the most efficient workflow. Production is the actual taping of the TV show or shoot. Cast and crew are assembled, and the director will orchestrate the taping and work to shoot as quickly as possible. Production may take place in a studio or on location. Location shooting is almost always more work, as production equipment needs to be brought to the location along with the cast and crew. Most TV shows prefer to use established sets since this makes the production process easer. Post-production can occur after production or simultaneously during production, depending on the planned approach for workflow. Post-production involves video editing, titling, sound editing and mixing, dubbing, visual effects and processing. This process can occur simultaneously with production. As soon as raw footage is taken, the post-production team can begin to process and edit it. Depending on the nature of the show, post production can be tedious. There may be hours of footage to go through. If any visual effects or computer-generated graphics (CGI) are needed, they can slow the process down significantly. Once a final copy of the show is ready, it must be duplicated or copied so the staff can send it to stations or affiliates. The show is packaged with cover art and sent out to distributors so that it is available to a wide viewing audience. What Is the Role of a Documentary Director? What Is a Photo Shoot Coordinator?